One of the funniest people I have ever known is a columnist over at ESPN.com named Bill Simmons. He is known as "The Sports Guy" and I've been a fan of his for nearly a decade. I used to send him all the links of the day for his website, and in fact he was the guy who inspired me to start writing Survivor columns back in 2001. From day one, I have based my entire writing style off of his. Anyway, the reason I bring up Bill Simmons is because I'm stealing one of his jokes here. I'll just say it right up front so that nobody nails me for it afterwards. Of course, I prefer to think of it as an "homage", but if you want to call it "stealing", go right ahead. Make my day. Bill Simmons often writes about famous athletes having a certain "face." For example, Red Sox pitcher Derek Lowe has "The Derek Lowe Face", which he unveils every time he blows a big lead. Quarterback Troy Aikman has "The Troy Aikman Face", which he unleashes every time he chokes in the clutch. In other words, the "Player Face" refers to a facial expression which is indicative of everything a person represents. It can be their normal facial response to stress. It can be something they aren't even aware that they are doing. 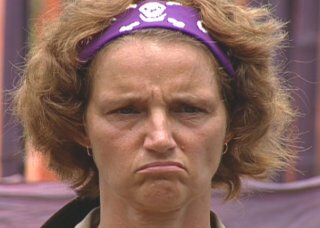 Or... in the case of Lillian Morris... it can be the sad, somewhat mopey look she always had on her face each and every time she was on camera. That's right. 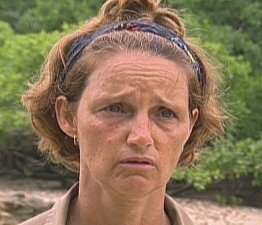 During Pearl Islands, I came up with the concept of "The Lill Face." You may remember "The Lill Face." After all, there were certainly a lot of versions of it. Because it's the only look she ever had on her face in 39 days. You know... the one that was all hangdog and sad. 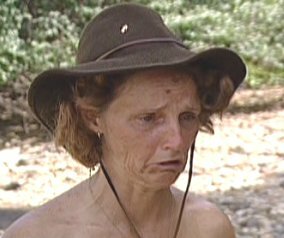 You see, Lillian Morris was possibly the most unhappy Survivor player I think I've ever seen. I don't think I ever saw her smile. Hell I don't think I ever actually saw her enjoy something. Ever! Lill seemed to be unhappy every single minute of the season and after awhile it started to be a cliche. And that's when I came up with the idea for "The Lill Face." So was Lill just a miserable person to be around? 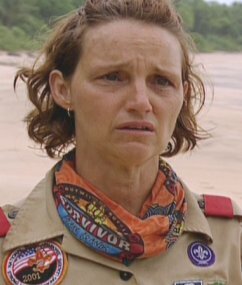 Or did the other players just pick on her and make her life difficult over and over again? Why was she always so damn unhappy? I suppose we will never know. Actually now that I think about it, I suppose I do know. There's actually a big clue on the Pearl Islands DVD Commentary (if you take the time to listen to it). Because did you ever hear the real reason why Lill was voted back into the game? 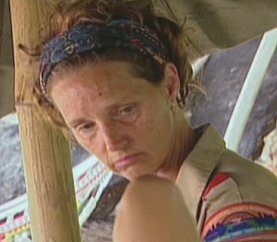 Did you ever hear why the Outcasts voted her back in, over Nicole and Skinny Ryan? Here's a hint... it wasn't because they thought she was the most deserving. 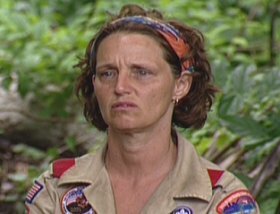 According to the DVD Commentary, Lill was voted back into the game because the players in Loser's Lodge were just tired of her being around. 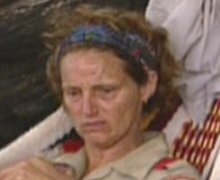 They said that Lill was negative and mopey all the time, she complained about everything, and for the most part she was spoiling their good time in the Lodge. They said it was pretty much a big downer just having her around. In other words, Lill was never voted back into the game. 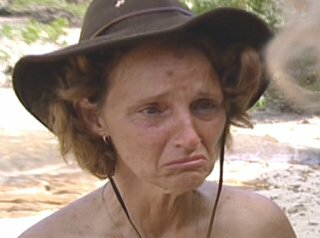 She was actually voted out of the Outcasts! They just didn't want her hanging around. Even out of the game, they were all just tired of seeing "The Lill Face" each and every day of the week. 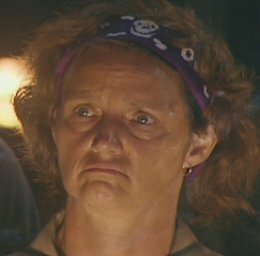 See if that changes the way you watch Pearl Islands the next time around.